Getting your new website recognized by the leading search engines on the Internet is something you probably wish to do foremost in order to have people easily find it. Though the process of crawling your website by Googlebots and adding it to Google Index may take quite some time, we will reveal in this article a few tips on how to get your website indexed by Google in the shortest terms. Before we begin, let’s try to find out what Google Crawler is and how exactly the indexing process is handled. Google Crawler is a web-robot that consists of multiple computers requesting and fetching webpages all over the World Wide Web and adding them to the Google Indexer. When Googlebot fetches a page, it culls all the links appearing on the page and adds them to a queue for subsequent crawling. Googlebot tends to encounter almost no spam because it uses a unique inspection technology that allows checking whether the webpage to be crawled is trusted. While gathering links from every page it indexes, Googlebot can quickly build a list of links that cover a wide part of the Internet. To get a better understanding of how Google Search operates, we would recommend you to check this video additionally. The first must-to-do thing is creating a sitemap of your website. Sitemap is a file where you can list all the webpages of your site to help Googlebots crawl it more efficiently and intelligently. You can generate a sitemap using different online tools. More information on principles of their work and how to generate a sitemap using third-party tools can be found in the following article. Once you have a sitemap for your website, it may be a good idea to submit it to Google Webmaster Tools in order to let Google know your website’s structure and speed up the crawling process. To start, open the following link and log in with your Google Account credentials. 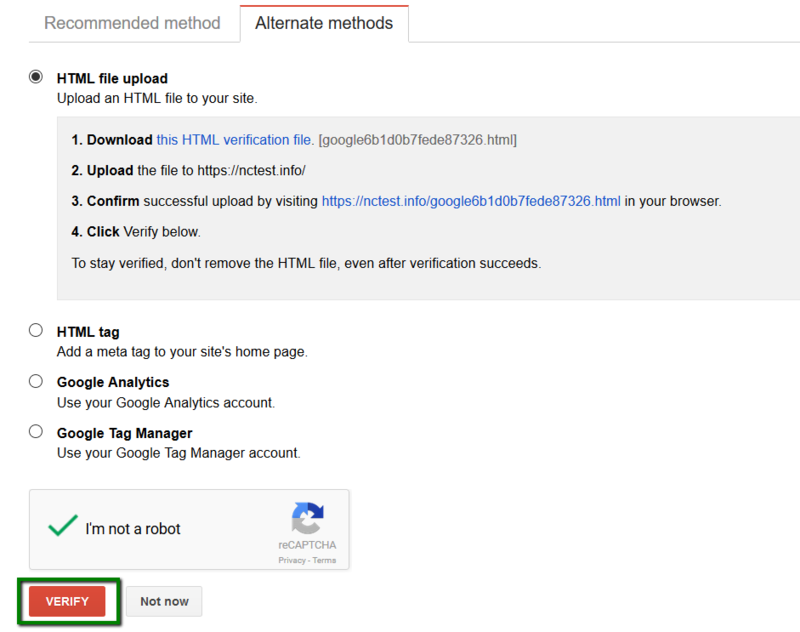 NOTE: Google Webmaster Tools treats http and https as separate websites. 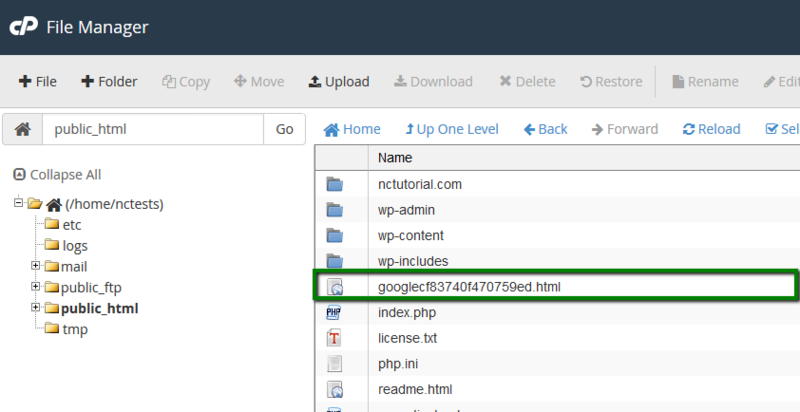 It is recommended to add all versions of the website to the console, even if you have a redirect from http to https set. In the end you should have four websites added: http://example.tld, https://example.tld, http://www.example.tld and https://www.example.tld. Each version requires a separate verification. The next step will prompt you to complete your website ownership verification. 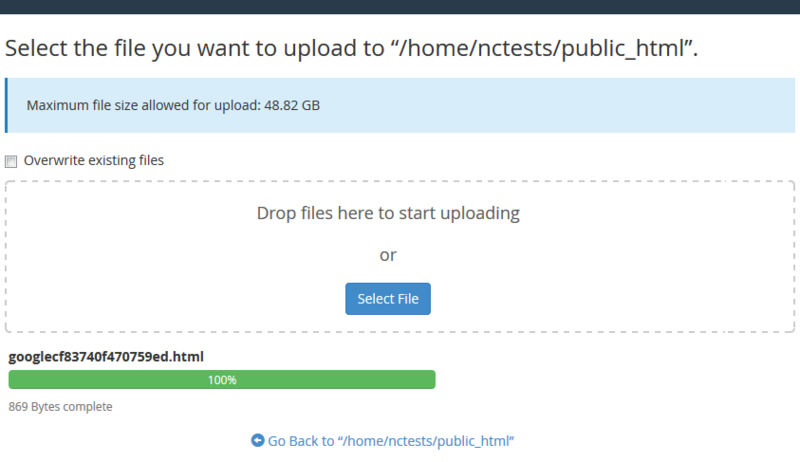 Now you will need to upload this file to your hosting account by means of FTP or File Manager available in cPanel. In this guide we will stick to the File Manager option. Here you need to navigate to the web-root directory of your domain name. In this case, we are working with the main domain name so public_html is the right place. Once the file has been successfully uploaded, proceed to Step 3. 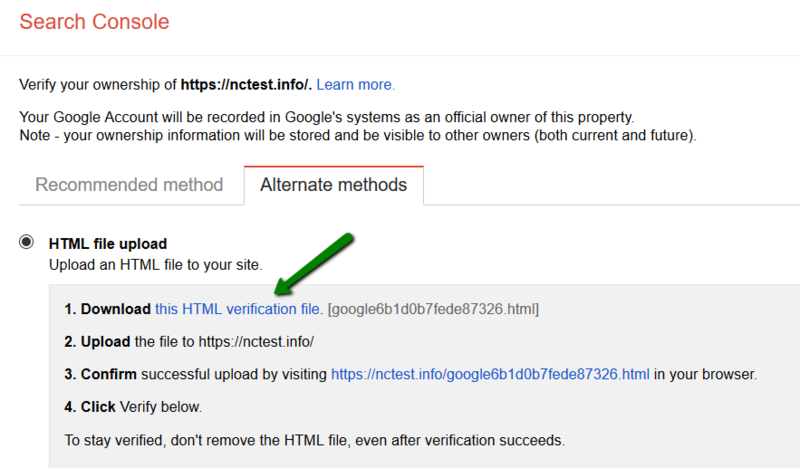 Navigate back to Webmaster Tools verification page and confirm the successful uploading of the HTML file by following the corresponding URL link. The next step is to submit your website’s sitemap to Webmaster Tools. It may be useful to submit your newly created website here additionally. It is necessary to update your website with new posts and references on a constant basis and inform the search engines about these updates to keep the indexed information about your website fresh and up-to-date. It is not a secret that it's a priority for Google to index its social network first so it may be useful to create a Google+ profile and submit a few references to your newly created website there to let Google know about it as soon as possible. In order to simplify and speed up the crawling process, it is necessary to keep your website fast, clean-coded and optimized. If you are running your website on the WordPress platform, check this tutorial on how to optimize your WordPress website.